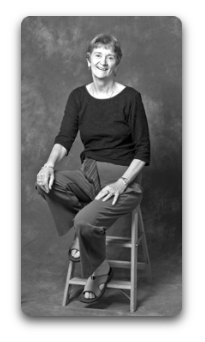 The Dialect Resource was created by renowned dialect coach Gillian Lane Plescia. Gillian was born and raised in England and received her theatre training at The Royal Academy of Music. She worked for many years teaching Voice, Speech and Dialects at Florida State University, UNC Chapel Hill and the University of Michigan, and now teaches Dialects in The Juilliard School’s Drama Division. Her series of self-instructional dialect programs, are widely used, not only in the US, but in the UK, Canada and Australia as well as in Russia, Italy and Germany. The programs are based on the principle that the study of dialects is best based on authentic models, and to this end she has traveled widely collecting the recordings for her series. Gillian's work is now the first choice for many actors and many teachers and coaches in colleges and high schools. She works as a Dialect coach on Broadway and in regional theatres all over the US, specializing in British Dialects with particular emphasis on Classic Standard British. Among the actors she has worked with are Matthew Broderick, Avery Brooks, Betty Buckley, Kathryn Chalfant, Brian Dennehy, Ashley Judd, T.R. Knight, Martin Landau, John Mahoney, John Malkovich, Jefferson Mayes, Mike Myers, Estelle Parsons, Aidan Quinn, John C. Reilly, Mercedes Ruehl and Gary Sinese.